Jambeaux, everyone!!! Harambe! 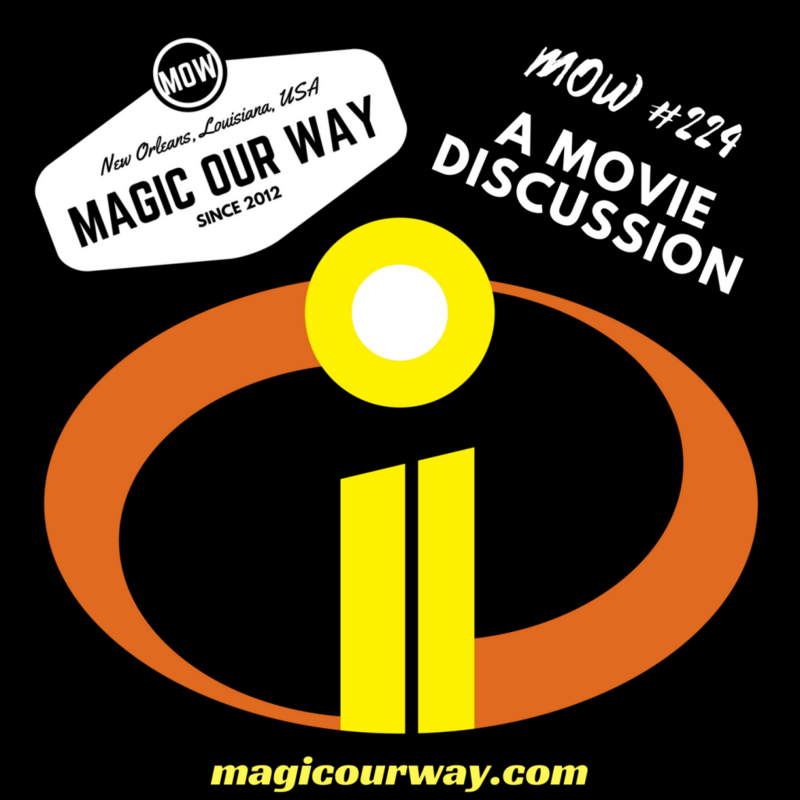 This week we discuss the latest Disney Pixar movie to come out, Incredibles 2. On this episode, we discuss the Disney Pixar 2018 summer blockbuster release, Incredibles 2. Finally, after 14 years of waiting, we get to see the continuing story of the Parr Family of supers. We get to see how their interaction with the Underminer plays out and we get to see Jack Jack’s growth. Below is a synopsis of the movie from IMDB.com written by Kenneth Chisholm. Jambeaux, everyone!!! Harambe! This is a Eli show and he is presenting to us four stories of assumed cunning by individuals trying to pull a fast one over Disney. 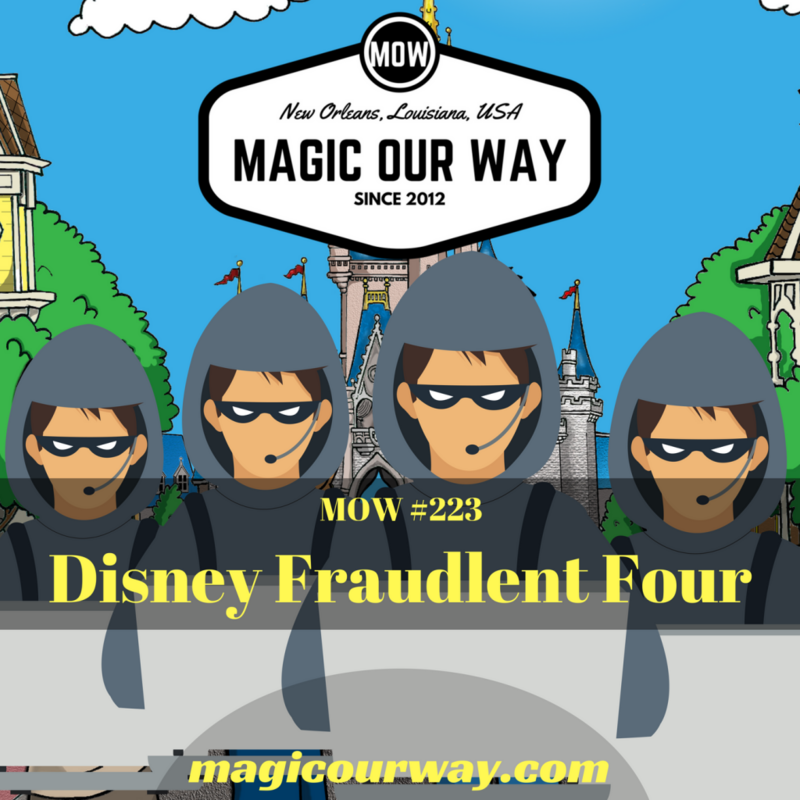 This is the Disney Fraudulent Four…it’s like the Fantastic Four, but illegal. In the Queue, we discuss one news story that has recently come out, Play Disney Parks. Have you heard about this latest in queue activities? It’s an app that allows you to interact with your surroundings and play games while in a queue. We want to know what you think! 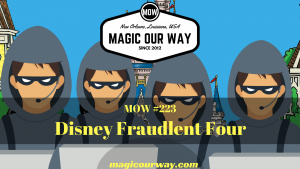 On this episode, Eli presents the Disney Fraudulent Four…it’s like the Fantastic Four, but illegal. These are four stories of individuals trying to gain an advantage over the Disney Company and its customers. Below are the four stories of assumed cunning. The Parent Trap: the 1% and the “differently-abled” have a “T-plaid” time in the parks. The Neverland Ticketmasters: one of many stories of individuals selling fake Disney parks tickets. The Scrappers: after hearing this, you may want to double-check your Disney pin collection to make sure they are official. The Mouse of Cards: hopefully none of you were wrapped up in this credit card theft. Jambeaux, everyone!!! Harambe! 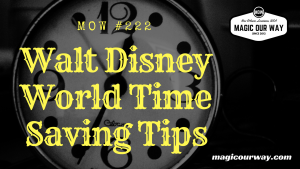 For this show, we discuss Lee’s time saving tips when visiting the Disney Resorts. 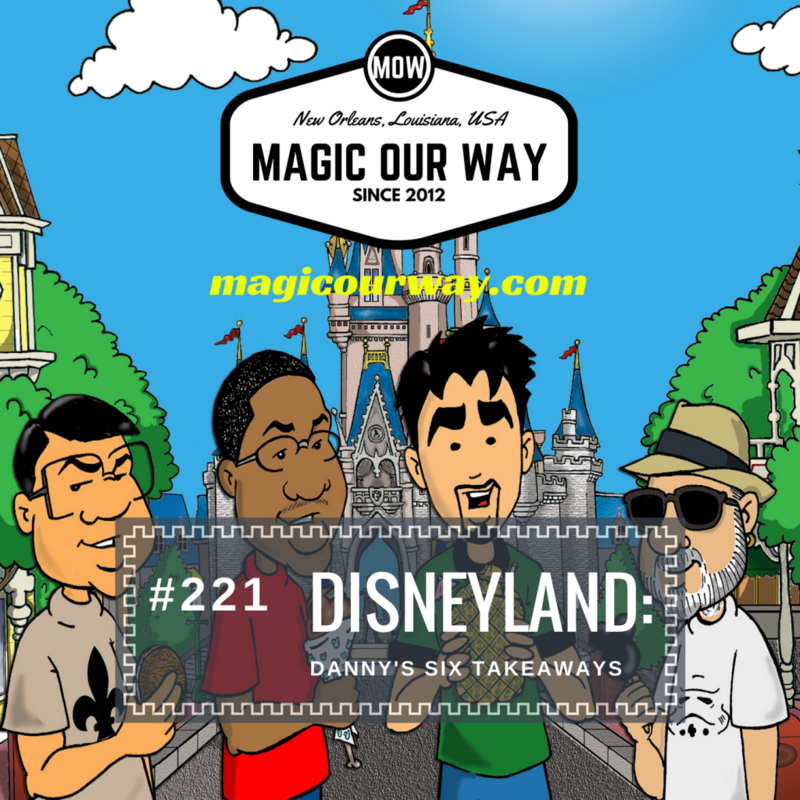 So, we discuss transportation, in-park touring, dining, etc. 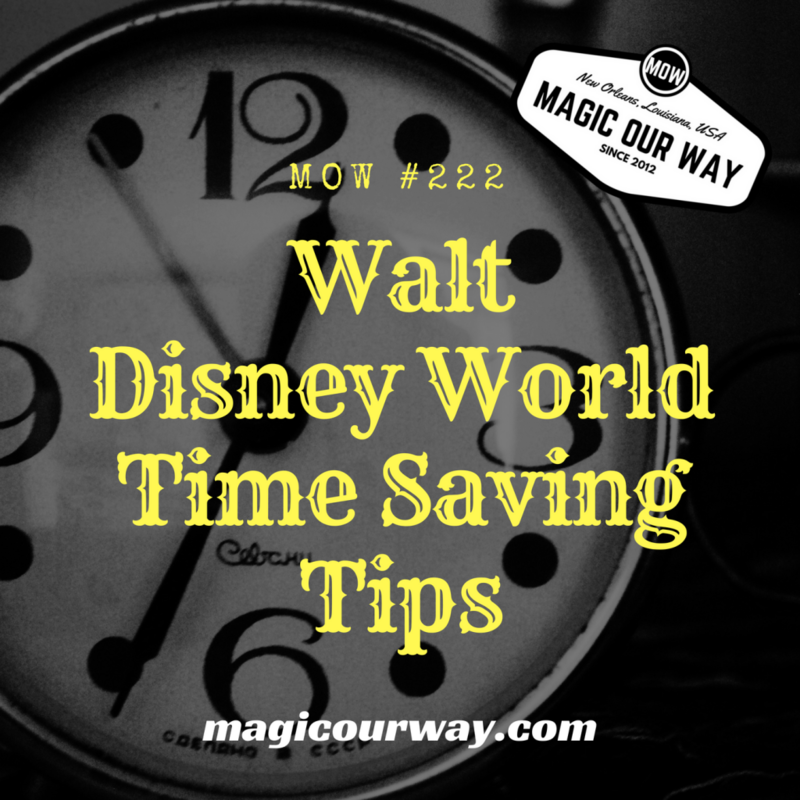 On this episode, Lee presents his tips on saving time at the Disney Resorts. 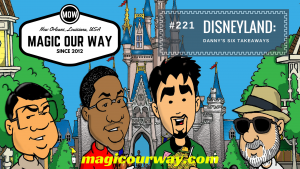 We discuss everything from parking to park touring to transportation and much more.